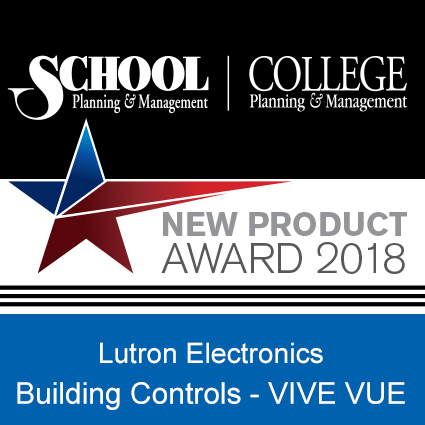 Lutron Electronics’ Vive Vue wins 2018 School Planning & Management New Product Award! Vive Wireless lighting control provides simple, scalable control in commercial spaces—ideal for offices, K-12, and university applications. Vive Vue management software allows facility teams to control and configure lights and monitor, analyze, and report on the activity and performance of the lighting system in a building.